The past couple weeks I have been stressing out over midterms (It’s always something, right?). I have a massive web design project due tomorrow so I figured my entire day today would be spent in class and on my couch working on my site. But thankfully, This morning my teacher let us out early. Because I am driving back to my hometown Wednesday once all my midterms are finished,, I figured why not make a stop at Lush before throwing myself back into homework? I hiked up the hill and grabbed a couple of my favorite Lush products. Every time I go home I have to get Bath Bombs. I only take showers here in San Francisco, so going home and being able to soak for a little while. My go to Bomb is always the Pink Bath Bomb, it smells like a mixture of a feminine fruity scents with a touch of vanilla that makes it smell like a candy I would definitely want to eat. It makes the water in your tub hot pink and there is a little surprise inside; heart shaped confetti. It was one of the first Lush products I ever received and I have never stepped foot in a Lush store without purchasing one. Needless to say, I’m hooked. For my birthday a couple weeks ago, my best friend got me the cutest Lush gift set and in it was a the Butterball Bomb. It smells like Vanilla and has a fizzy effect on your bath. My favorite thing about this bomb is that it has chunks of coco butter inside that softens your skin dramatically while you sit back and relax. Because the weather here in the city has been bipolar and I know it will be completely different at home, my dry skin needs a major kick of moisture. So guess what? I bought a second Butterball but instead of purchasing two of the same thing, I reached for the holiday version, the Butterbear! The only difference is their looks but its what inside that matters. Lastly, you guys know I always get hooked on whatever is sitting by the register. It doesn’t matter what store I’m at, that section always gets me. Today they had the Charity Pots chilling on the counter. While I waited for an associate to escape tourists, I started sifting though the different charities. Finally, one caught my eye. If you know me you know that I am a massive animal lover and dogs are at the top of my list (My parents won’t even allow me to visit the animal shelter anymore because I get too attached). So when I spotted the Soi Dog pot I new I had to spend the extra few bucks. Soi Dog helps protect Thailand’s homeless and abused dogs and cats as well as help to eliminate the illegal dog meat trade. So I clearly couldn’t help myself. The lotion itself is a coco butter base with a light floral scent. Plus, because of my dry skin and its 1.7 oz size, it will be perfect for me to carry with me on days where my skin isn’t feeling very healthy. If you want to learn more about the Soi Dog cause, check out their website here. 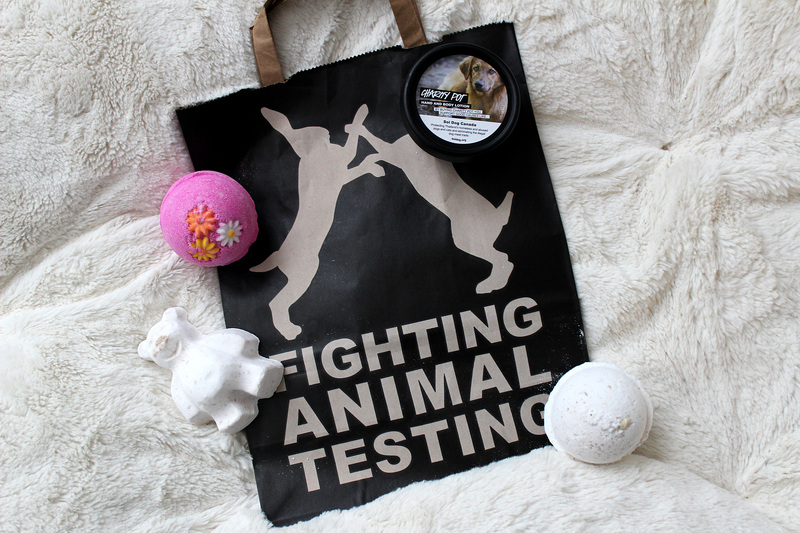 Posted in Beauty and tagged bath bomb, butter bear bath bomb, butterball, butterball bath bomb, butterbear, charity, charity pot, holiday, Lush, pink bath bomb, relaxation, San Francisco, Shopping, soi dogs, soi dogs canada. Bookmark the permalink. I’m generally not the biggest Lush fan, the only products I truly enjoy are the Bath Bombs. I just felt like trying something new and with it being such a good cause, I couldn’t help but get a charity pot!